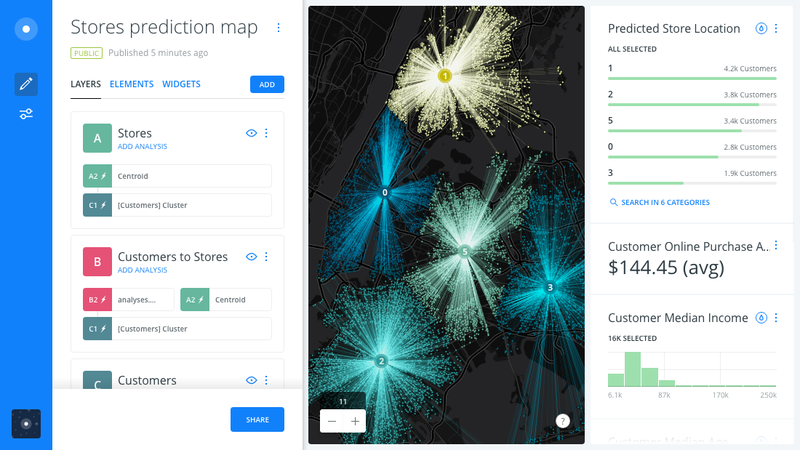 CARTO enriches your location data with versatile, relevant datasets drawn from CARTO's own Data Observatory. 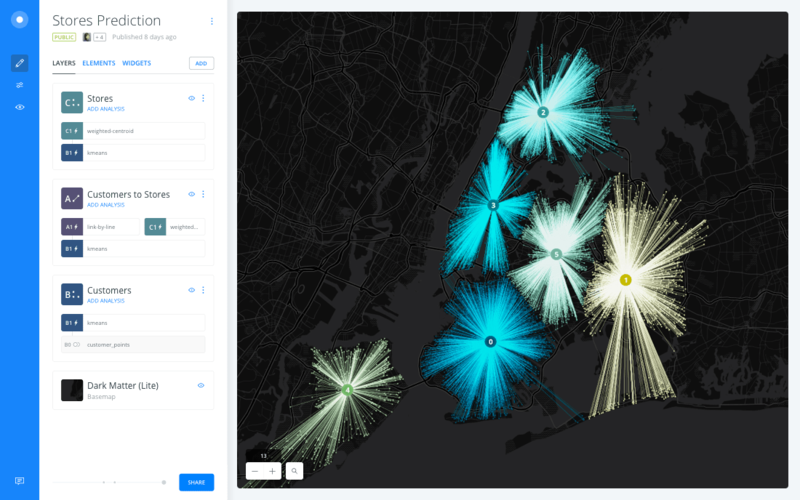 Take creativity and data integration further with Turbo-Carto styling and our powerful SQL capabilities. 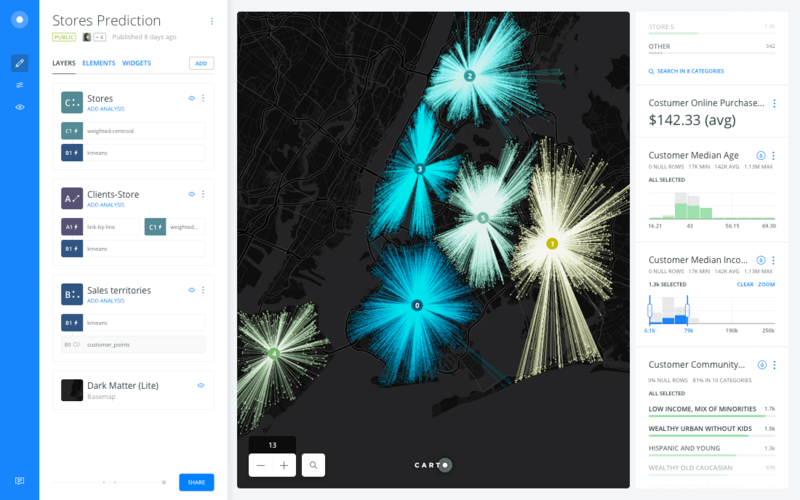 The new open source CartoCSS pre-processor, Turbo-Carto, enables the asynchronous evaluation of styling functions. 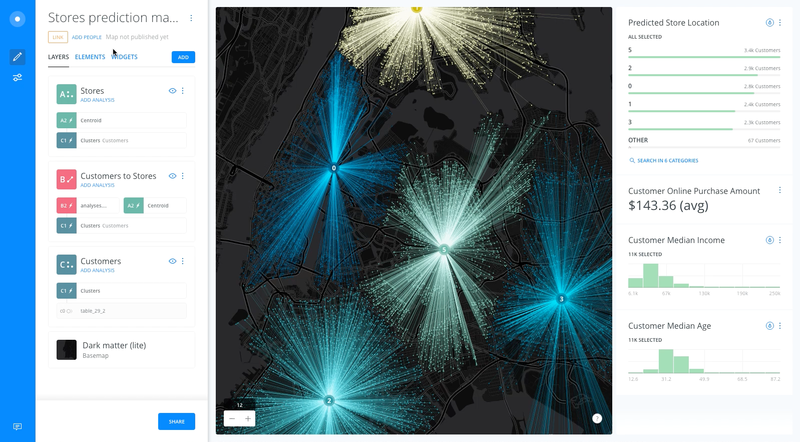 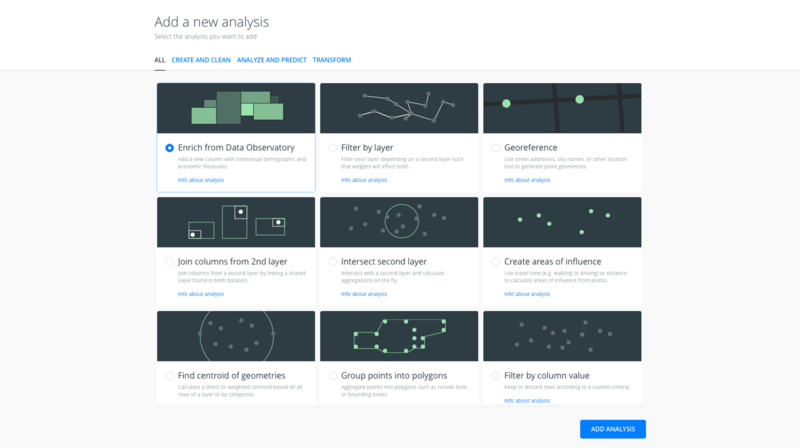 CARTO's SQL custom analysis functionality allows for tailored reports and unique queries.